Terry Tatsey was raised in the Badger-Two Medicine. The 130,000-acre area, wedged between Glacier National Park and the Bob Marshall Wilderness, served as the foundation of his youth, and he can remember his grandparents telling stories about their ancestors hunting and fishing there. For him, that land provides a vital bond to the Blackfeet’s heritage that remains intensely spiritual, and continues to afford opportunities for solitude and reflection that are as relevant today as ever. Photo by Ryan McKee. An alpine meadow overlooking Two Medicine Valley. The Blackfeet tribe and wilderness groups are working together to fight drilling leases in the Badger-Two Medicine area. Tatsey recalls a hunting trip when he was a teenager, shortly after the Reagan Administration issued 47 oil and gas leases along the Rocky Mountain Front and Badger-Two Medicine in the early 1980s with little environmental review. He and some family members were leading a string of horses into the area when they came across a seismograph crew taking readings in advance of developing the newly leased property. Mineral deposits that served as licks for deer and elk had been drained for the survey. He was angry and remembers wanting to prevent any more destruction from occurring. The Blackfeet immediately protested that the leases were illegal because the tribe was never consulted, and thirty years later, Tatsey and the Blackfeet are still fighting to cancel them. After several lawsuits, the US Forest Service suspended the leases in 1997 and issued a moratorium on leases for the largely roadless in Badger-Two Medicine area, which was designated a Traditional Cultural District under the National Preservation Historic Act in 1997. The moratorium remained in place until 2013, when one of the lessees, Solenex, LLC, a Louisiana-based company, sued the Department of Interior for the delay surrounding its lease. Since then, the Blackfeet have been working with a number of regional and national environmental organizations that also want to see the leases cancelled in a collaboration that has proved significant for both the tribe and environmental organizations. Groups like the Wilderness Society and the Montana Wilderness Association (MWA) were initially drawn to Badger-Two Medicine lease issue because of the area’s ecological and recreational values. 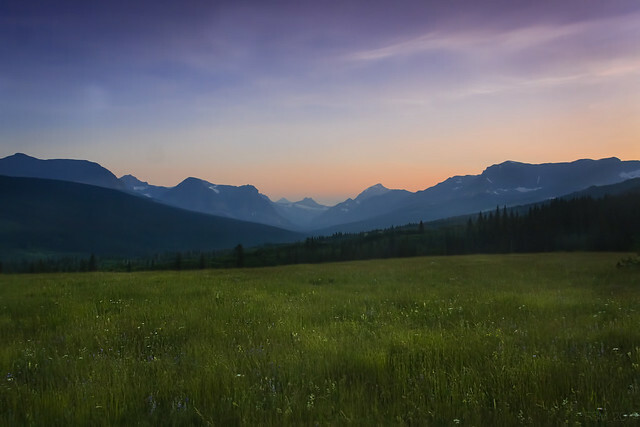 According to Jennifer Ferenstein, a senior representative for the Wilderness Society who has worked in Montana’s environmental community for nearly twenty years, the Badger-Two Medicine is important because it borders both the Bob Marshall Wilderness and Glacier National Park and is contiguous with some of the best wildlife habitat in the Crown of the Continent ecosystem, which straddles northern Montana and southern Alberta. “The wildlife value, the roadless qualities, the core wilderness all make it an incredibly significant area,” she says. While both organizations’ primary interest in protecting the Badger-Two Medicine remains in wildlife conservation, these environmental groups have also come recognize the cultural significance the area has for the Blackfeet. “You don’t have to work on this issue long to start taking an appreciation for what the Blackfeet are trying to achieve from a cultural standpoint, and right now, our missions are aligned,” says Casey Perkins, Rocky Mountain Front Field Director for MWA. Perkins and Ferenstein understand the importance that empowering their Blackfeet partners has for the campaign’s long-term success, so they have worked hard to ensure the Blackfeet remain the face of this campaign against oil and gas leases. Even though the wilderness organizations have more experience navigating political channels, working with government agencies and dealing with the media, they appreciate that this is, first and foremost, a Blackfeet issue. The campaign’s success hinges on the strength and influence of Blackfeet voices, and their work has aimed to highlight those stories. This has not been easy work. After generations of massacres, treaty violations, and tone-deaf government policies, the Blackfeet are apt to greet offers of support or assistance with wariness and caution. But in spite of this history, the tribe has welcomed state and national environmental organizations to their cause, fully aware of what success in the Badger-Two Medicine could mean for the tribe’s long-term future. As a result of this collaboration, the partners’ individual voices have been amplified. The collaboration has also offered an opportunity for healing and a path forward for the Blackfeet. All wrongs have not been forgotten, but for many they are fading. Optimism is slowly replacing pain and in their shared goals there is hope. After more than thirty years of bureaucratic delays, lawsuits being put on hold, and legislation stalling in Congress, these efforts have finally started to produce tangible results. This September, the Advisory Council on Historic Preservation issued a report decreeing the Badger-Two Medicine too sacred to drill. In the following months, public support proliferated. Local papers ran editorials, former Park Service and Forest Service officials called for the cancellation of the leases, Montana Senator Jon Tester petitioned the Department of the Interior to cancel the leases, and even the rock band Pearl Jam announced its opposition to drilling in the area. Then, in late November, Secretary of the Interior Sally Jewell announced her decision: The Solenex lease would be cancelled. Jewell’s announcement did not pertain to the other 17 leases in the area, which are still on hold, but if this first ruling is any indication, the Badger-Two Medicine will remain wild. For the Blackfeet, the Badger-Two Medicine has always been considered a safe place. “Growing-up we were told that if things were going wrong, we should go to that place,” Augare-Carlson says. “We were going to have everything we needed and we were going to be safe.” The area was known for its pure, clear water, plentiful game, and spiritual significance, and for generations, the Blackfeet people depended on it.